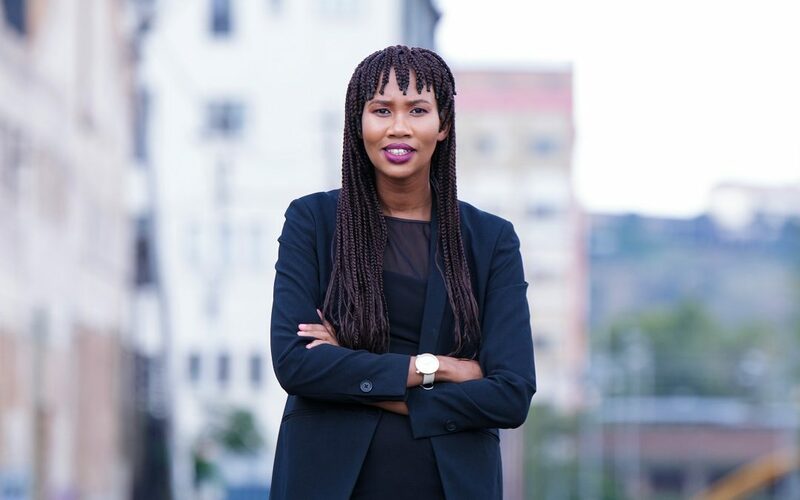 Noluvuyo Mpekelana is passionate about women empowerment, mentoring and the use of technology to change the world. I have a huge passion for technology and solving social problems through technology. My entry into the ICT sector was when I started working at a call centre for one of the largest telecommunications company in South Africa. I started off in the industry by helping users with internet connectivity issues telephonically. I moved into various roles after that within the higher education sector and the financial services space, fulfilling roles like end-user support specialist, business analyst, project manager and IT support manager. I am a final year Master of Commerce (specialising in Information Systems) candidate at the University of Cape Town (UCT). I also hold a BCom Information Systems honours degree from UCT, a management development programme qualification from the University of the Western Cape (UWC), and other IT-related qualifications. I started my first mentorship programme for young disadvantaged girls in Khayelitsha when I was 25, called Inside Out Mentors. The objective of this initiative is to help young girls with social issues and provide them with a solid academic background. My passion and influence within the mentoring space evolved into co-founding ICT on Heels, a network empowerment platform for women in ICT that is focused on mentoring and empowering women within ICT. I now also recently started CodeNgwana, a coding initiative that teaches young kids how to code with the aim of helping African kids go digital. I am always engaged in projects that are empowering the society. You have a passion for education and the use of ICT to change the world. How do you see this happening? One word that comes to mind is ‘inclusion’. We can only change the world when everyone is included. I am a firm believer and advocate for digital inclusion. Access to internet should be a basic right, just like water and sanitation. The one thing that gets me up every morning is empowering kids and women with digital skills. This is the reason I also decided to start CodeNgwana because children are natural problem solvers as their minds are uncorrupted. When we empower them we are changing the world. We are creating space for a new world of possibilities. What led to you founding ICT on Heels and what’s the ethos behind this initiative? I was mainly inspired by my own experiences within the ICT sector, the fact that I was often the only woman in the room and the challenges I faced within the space. The main idea was to make the journey for other women easier by creating a platform for engagement and empowerment. Your coding initiative, CodeNgwana, teaches youngsters the skill of coding. How has the uptake been in the market and what have been some of the most notable success stories coming from this initiative? I started the concept of CodeNgwana with my two boys aged 7 and 9 and recently launched it. My first coding holiday programme will be in March 2019 in Cape Town. I have been invited by international technology companies to come and present the initiative and in the process of building partnerships with schools and tech companies. What has been interesting for me when I knocked at certain doors for CodeNgwana is how certain companies were saying they only support initiatives that alleviate unemployment and teaching kids coding does not address that. It then dawned on me that in order to address the cycle of poverty and unemployment we must start at a very young age, and that the long-term benefits of CodeNgwana are huge as kids will be empowered with the necessary skills that will allow them to be creators and innovators. They will be ready to step into STEM related careers and do well. In your opinion, what is the status quo of women in technology in South Africa? In my opinion we are still not well represented at executive roles; we still don’t entirely have a voice when it comes to decision-making but that is slowly changing. We need more women in technology who are at the executive level. Does being a woman in a male-dominated sector come with its own set of unique challenges? Yes it does. For me personally it is around balancing my role as a mother. I am now in a space where I am not shy to raise my hand if a certain deliverable will conflict with my duties as a mom. I know some women struggle even with the working hours, being on standby if you are on support related roles and having to drive out at night when there is a problem. I think women need to speak up as companies are also willing to have those conversations around transformation and accommodating women. What advice do you have for other women aspiring to leadership in technology? Leadership has no gender, don’t be afraid to step and always remember that a journey of a thousand miles start today, so work on yourself and skills constantly. Thanks for sharing yours journey. Well done Nolu you are an inspiration to all. Best mentor in the whole world. wow!truly blessed.keep up the great work Nolu. You really are an inspiration.